Performance The CBx1 is surprisingly capable, given it only has a dual-core processor. Connectivity There are five USB Type-A ports, a Type-C connector, Ethernet, HDMI, a headphone/microphone jack combo, and a microSD card reader. Software Both Android apps and Linux apps are supported. Price This is a great computer for only $219.99. Design The CBx1 is a black plastic cube. 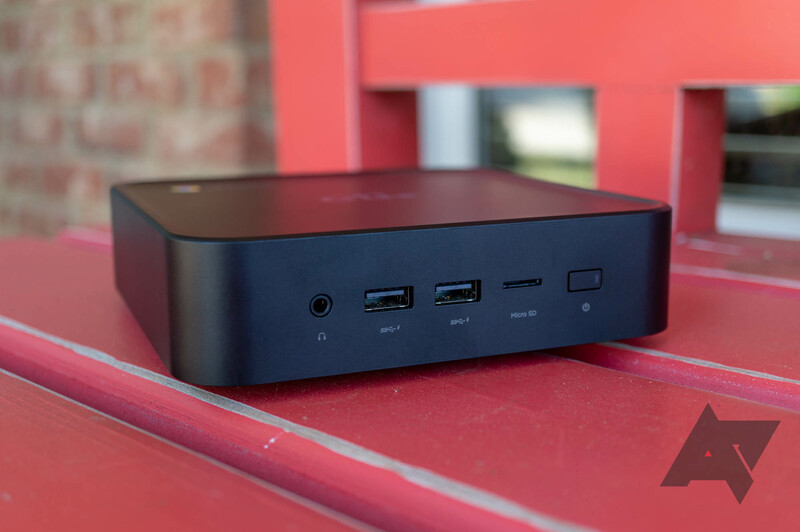 I don't think the design of a budget PC matters all that much, but it definitely doesn't look as nice as Acer's Chromebox. Software (again) Some Android apps don't work well on non-touch screens. 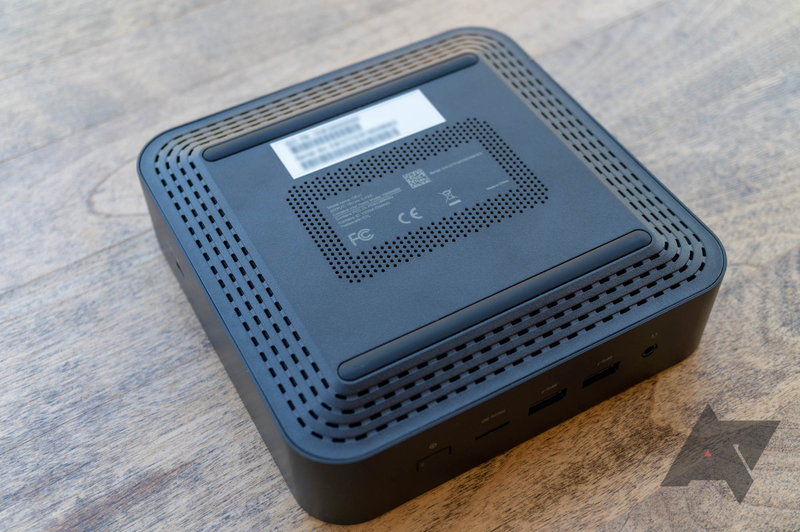 The Chromebox CBx1 is a no-frills plastic box, roughly the size and shape of a Mac Mini. The design is purely utilitarian, with matte black plastic covering the whole unit. It definitely doesn't look as nice as the Acer Chromebox, but it's not ugly in any way. On the plus side, the CBx1 is VESA-compatible, so you can mount it behind most monitors. On the front are two USB 2.0 Type-A ports, a headphone/microphone combo jack, a microSD card slot, and a power button. On the back, you get three USB 3.0 Type-A ports, Gigabit Ethernet, an HDMI connector, and a USB 3.0 Type-C port. 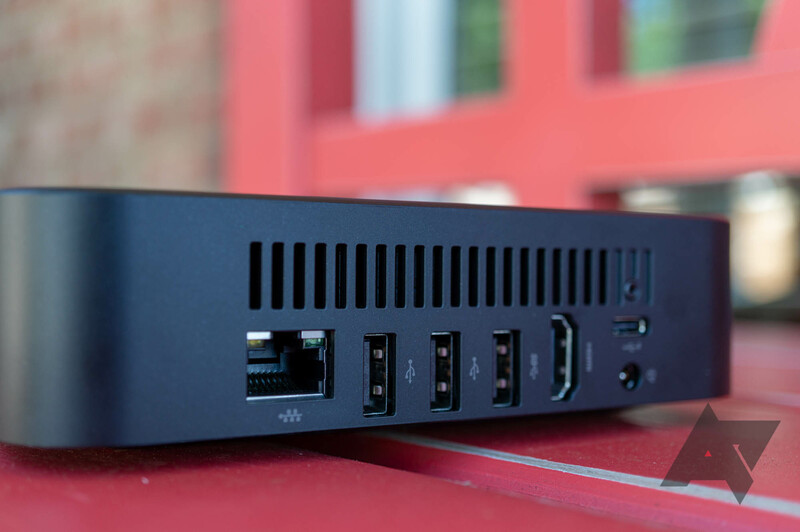 In addition to data connectivity, the Type-C port can be used as a display output, giving you dual-monitor support. 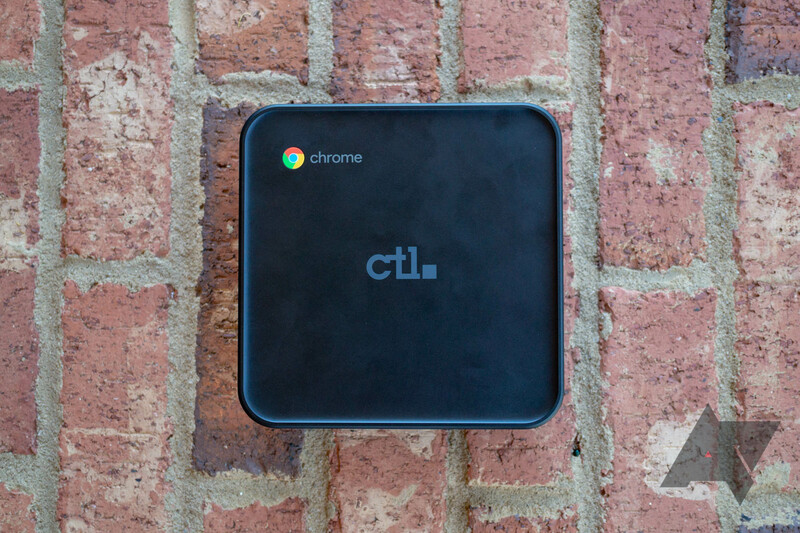 Unlike the Acer Chromebox, CTL doesn't include a keyboard and mouse in the box. I don't think that's too much of a problem given the low price point, but if you don't already have a spare keyboard and mouse lying around, you'll have to factor in that added cost. If you're in the market for a complete desktop setup, CTL sells two bundles. First, there's a $349.99 bundle with a Chromebox, a 22-inch 1080p IPS monitor, a keyboard, and a mouse. There's also a $429.99 package that includes a Logitech MK120 keyboard/mouse combo, a 22-inch touch monitor, and a Chromebox mounted to the back of the monitor. As I've mentioned in other reviews, I definitely enjoy using Chrome OS. 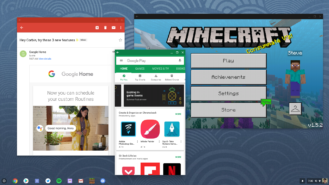 For people that are fine with only a browser and the Play Store, it's a very capable operating system that lacks most of the issues that continue to plague Windows and macOS. It's easy to set up, you'll never notice the system updates, viruses/malware are non-existent, and it's incredibly fast on low-end hardware (which benefits the Chromebox CBx1 greatly). The software of the Chromebox CBx1 is identical to every other Chrome OS machine. 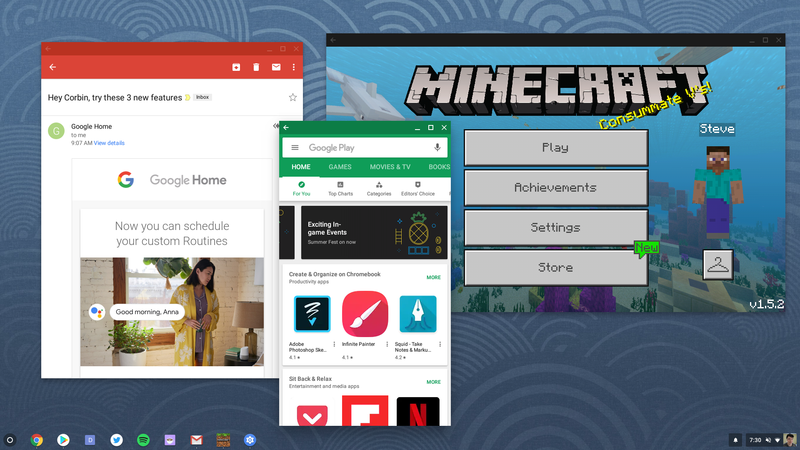 You get the Chrome desktop browser, the Play Store for installing Android apps, and that's it. For me, most of my work is done through web apps, with Android applications filling in some gaps in functionality (like Lightroom for photo editing). 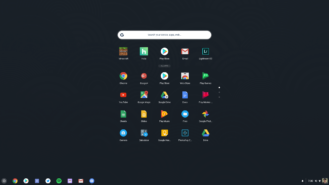 There are a few minor annoyances with running Chrome OS on a desktop computer. 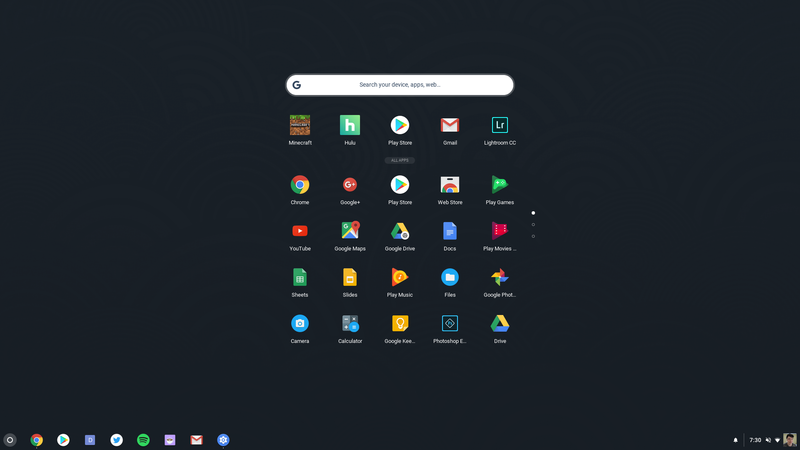 The app drawer is slightly difficult to navigate with just a mouse, since there's no scrollbar - you have to click the tiny page buttons or use a mouse wheel. Some Android applications also don't work well without a touch screen, particularly games. That won't be an issue if you buy CTL's touch display, but I suspect most people use Chromeboxes with their existing accessories. The Chromebox CBx1 is one of the few Chrome OS devices right now that support Linux apps. 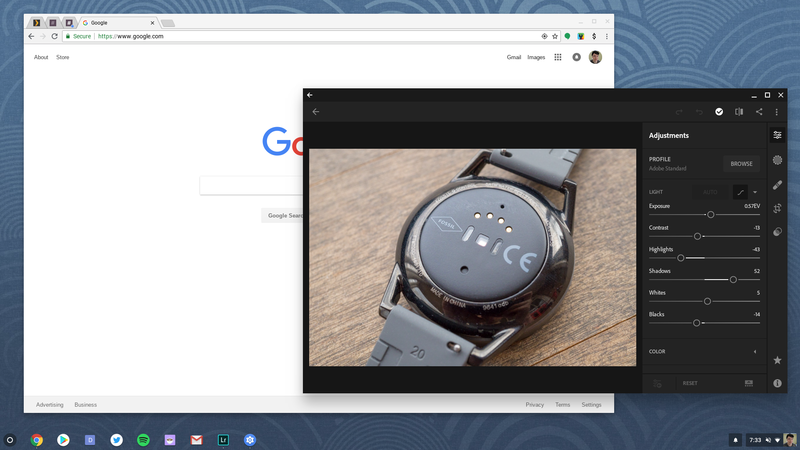 At the time of writing, this requires switching to the Chrome OS Dev channel and enabling Linux support in the settings. After that, you're given a terminal that you can use to install apps from the Debian package repository (the Linux container is based on Debian Linux 9 'Stretch'). This is still an experimental feature, and not everything works yet. 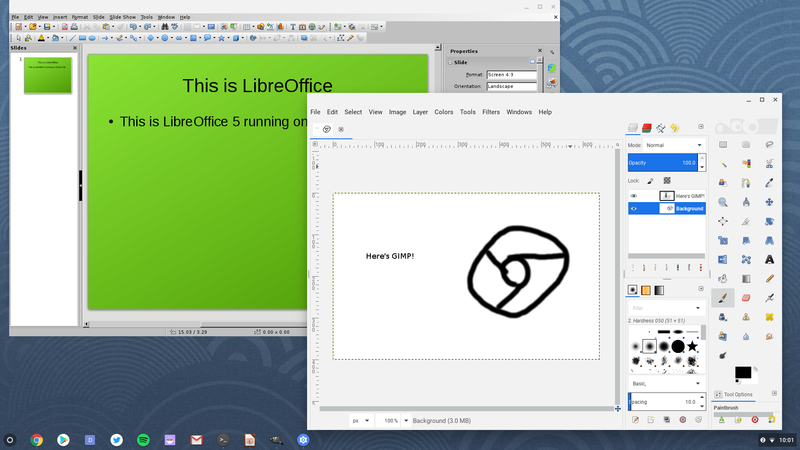 I was able to install applications like LibreOffice and GIMP without problems, and Steam even worked (I had to download the .deb file from the download page and use dpkg for the installation). At the moment, there's no graphics acceleration in the Linux container, so the games that do work are going to be unbearably slow. Mouse locking also doesn't work, so first-person shooters and similar types of games are out of the question. Even in this early stage, basic productivity applications run fairly well on the Chromebox CBx1. Just don't expect Android Studio to work well - or at all. My main concern going into this review was performance. The Intel Celeron 3865U processor is over a year old at this point, and only has two cores with no hyperthreading. Much to my surprise, the Chromebox CBx1 can actually handle my usual workflow of ~15 Chrome tabs and a few Android applications. The machine is noticeably slower than the Asus Chromebook Flip C302 or Samsung Chromebook Pro, but performance is still perfectly acceptable. The Chromebox only started to suffer when I opened 20+ tabs with multiple videos playing. The 4GB of RAM wasn't a limiting factor, but I suspect the 8GB RAM option would slightly improve performance (as Chrome OS wouldn't have to use slower swap memory as much). 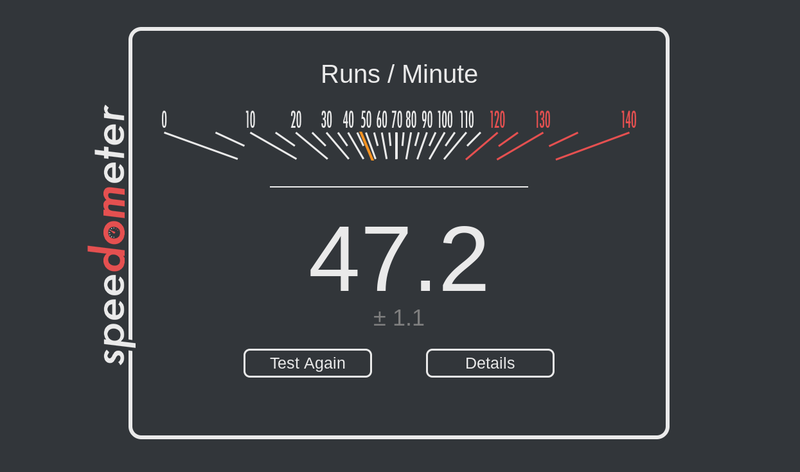 If you care about benchmarks, the Chromebox CBx1 earned a score of 47.2 on the Speedometer 2.0 test. For comparison, the Asus Chromebook Flip C302 gets a score of 65.51. On Geekbench 4, the CBx1 scored 2224 on single-core performance and 2180 on multi-core (full results). The Chromebox CBx1 is a very good computer. It's decently fast, the software experience is great, and there are plenty of connectivity options. This is a great desktop for anyone needing a basic PC, or someone buying a computer for a friend/relative. Does grandma keep getting viruses on her old PC tower? Replace it with a Chromebox and you'll never get another tech support call. The most compelling aspect of the CBx1, in my opinion, is the price. At $219.99, it's much cheaper than the Celeron variant of the Acer Chromebox CXI3, which has an MSRP of $289.99. Both products have identical specifications and hardware - the only difference is the design. 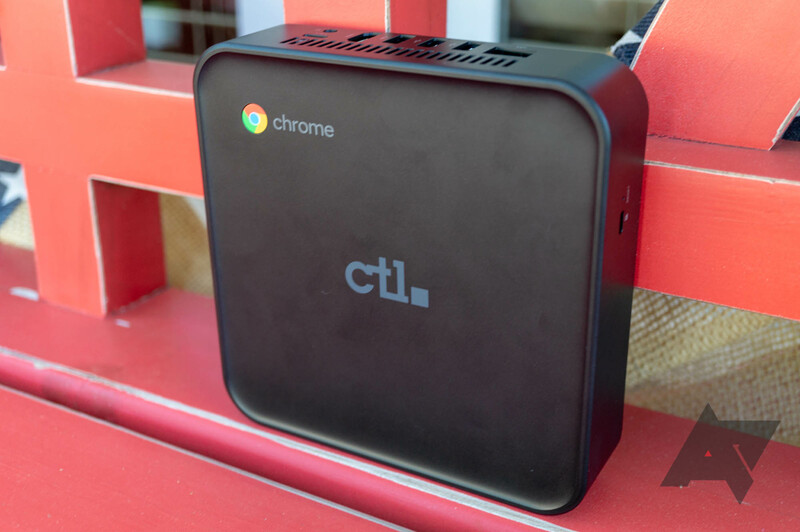 Overall, the CTL Chromebox CBx1 ended up being better than I expected. Despite its low-power CPU, it can handle most workflows just fine. You won't find a Windows PC anywhere near this good for $220, unless you're willing to buy refurbished or used hardware. You want a basic desktop for light productivity, or your friend/relative needs a new computer for email and Facebook. Performance is top priority, or you absolutely have to use Windows/Mac software.